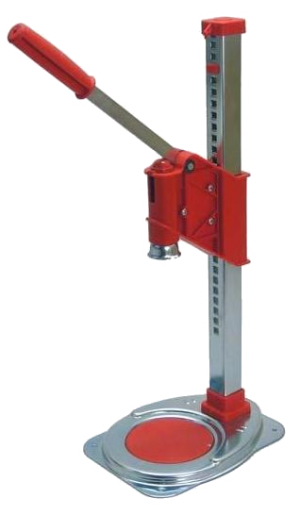 The Super Agata deluxe bench capper is very easy to use. The 26mm (standard) bell has a magnet to hold the bottle cap; you simply place your beer bottle or Champagne bottle on the plate and pull down on the handle. The cap is crimped and sealed. Faster then a hand capper. the Super Agata is self-adjusting, setting itself automatically for the bottle height. It can be scewed to a bench for stability with provided mounting holes.